Oh my goodness this was so much fun to do! 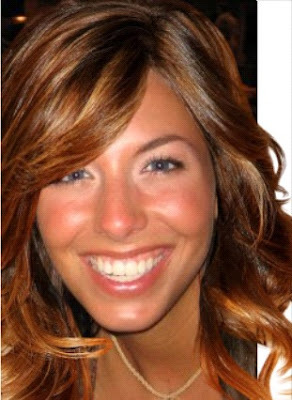 My friend Katie showed me this website where you can upload a picture of yourself, and then try out different celebrities hairstyles. I spent way too much time on that site trying out hundreds of hairdos. If you want to try it out, just go to instyle.com and then click on makeover. Did you say Jennifer Aniston? Well, then you are right! These next couple I can't remember which celebrities sport these locks. You can still guess if you want. 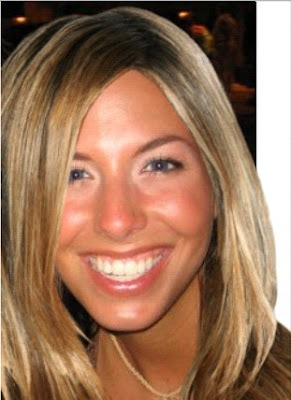 I've always wondered what I would look like as a blond. 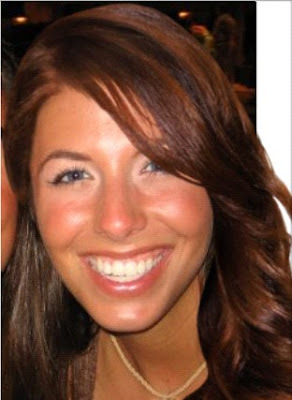 I think I'm a little too burned in this picture to really tell but it was the only picture I could find of me with my hair out of my face. I like the reddish look too! I'm feelin' the itch to dye my hair! This is a little darker then my color of brown and it has a little red in it. This was Jessica Alba's hair. I love her style. What do you all think? Should I go blond, red or dark brown?? Bangs? :oP I probably will just stick with what I have for now until I'm forced to dye it when the greys start coming in. Unfortunately, it maybe sooner then later... I'm starting to see a few popping up!